The better you know your customers, the increased chance of acquiring more. Many of the white papers I developed at DNN were based on conversations with customers using our Web CMS software. I believe customer interviews are the marketing program with the highest ROI. This post will provide tips on how to use customer interviews to enhance lead generation content. In most organizations, it’s the sales (not marketing) department that owns the relationship with customers. It’s important to build and nurture a strong relationship with sales colleagues, so they can facilitate customer interviews. Nice to meet you via email! I’m on the marketing team at DNN and work on our content programs. I’d love to spend 30-40 minutes on the phone, to better understand how you came to select our product and how you’re using it. I’ll use the knowledge gained to create better and more relevant content. If you can send me some open dates and times, I’ll follow up with a calendar invite. Thanks! While my sales colleagues facilitate the customer connection, I’ll request that I handle the call alone. This helps customers understand they are not getting a sales call. Some aspects of a deal are invisible to customer relationship management (CRM) and marketing automation systems. At DNN, some customers find us because a colleague (i.e., an influencer who is not central to the deal) recommended us. In our CRM, we see that the customer visited our website and filled out the “Request Pricing” form. By talking to the customer, we gain visibility into what was previously invisible. If a lot of new business comes by way of these recommendations, then I know to invest more in influencer and advocate marketing. In addition, I can think of new content that will engage (and potentially activate) these influencers. TAKEAWAY: Speak to customers to uncover nuggets hidden from your CRM system. 2. What made you select us? The competitive differentiators listed on your website may be different than the reasons customers choose you. You may focus on “time to market,” while customers choose you for cost savings. Customer interviews help highlight the key differentiators in winning the deal. As an added bonus, you may hear weaknesses of competitors’ offerings. These insights help build content for the mid-to-late stages of the sales funnel: vendor landscapes, vendor comparison sheets and buying guides. TAKEAWAY: Use the reasons customers chose you to guide mid-to-late stage content. 3. How are you using the product? Some customers use your product as envisioned, while others use it for unexpected reasons. What if this “edge case” use is more common than initially thought? Sounds like it’s time to build content around that use case — in the form of website copy, case studies, webinars and SlideShares. You may also discover new customer segments that can form the basis of subsequent lead generation campaigns. TAKEAWAY: Utilize insights from customer use cases to drive new content and campaigns. 4. What are your biggest pain points? I ask this question to understand concerns around our product, as well as issues in general. For the former, I’m able to spot a potentially unhappy customer and provide a heads-up to my colleagues in sales, support or product departments. Understanding the customer’s broader pain points can provide a goldmine of ideas for new content. Content to lessen customers’ burdens is bound to be popular and well received. TAKEAWAY: Understand customer pain points, then create content to address them. 5. How do you stay current in your job or industry? I could have been specific and asked customers, “What websites do you visit to stay current?” Instead, I prefer an open-ended question, which can uncover any number of things: conferences, meet-ups, websites, blogs, mentorship programs, etc. The answers can provide clues on new content that customers may find useful. For instance, if customers stay current by viewing Web development courses on Udacity, it might spark an idea for a new video series. In addition, it provides a set of experts I might partner with on content creation. If certain websites keep surfacing in customer interviews, I can pass this to my demand generation team as potentially new vehicles for advertising and sponsorship programs. TAKEAWAY: Understanding how customers stay educated can provide clues for new content programs. 6. What are your career goals or aspirations? This isn’t a common customer interview question, but it helps me understand the customer’s role and persona. If your typical customer is a Web marketer who wants to be a chief marketing officer someday, that’s useful to know. TAKEAWAY: Understand the career goals of your customers, then create content that helps them get there. If there’s one thing I hope you remember from this post, it’s this question: How well do I really know my customers? Get to know customers better, and your marketing will benefit. You’ll create content that more effectively hits the mark while boosting lead generation programs. Having said that, it’s time to wrap up: I need to call a customer! 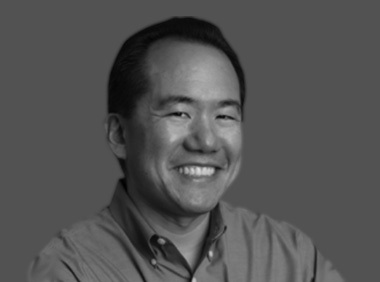 Dennis Shiao is Director of Content Marketing at DNN (@DNNCorp). Dennis is a contributing author to the book “42 Rules of Product Marketing” and is Editor of the DNN blog. Feel free to reach out to Dennis via email, dennis.shiao@dnnsoftware.com or find him on Twitter, @dshiao.